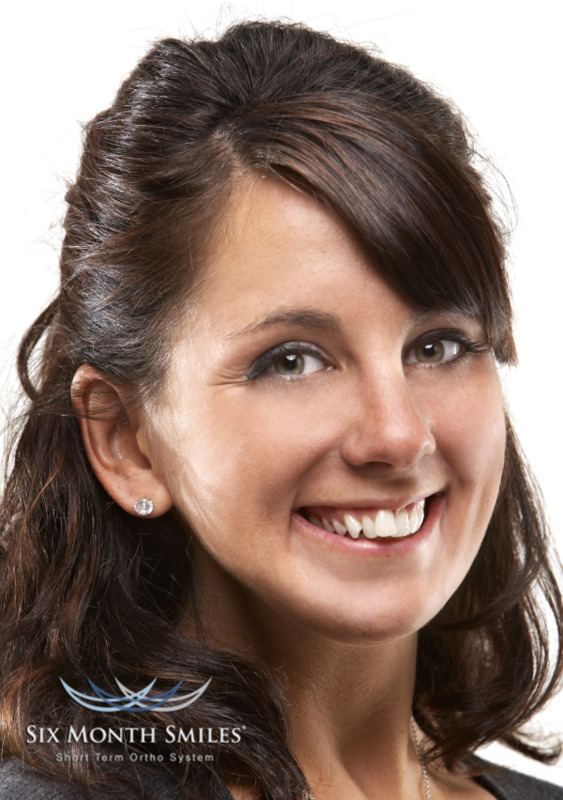 Dr. Pescatore understands that creating beautiful smiles sometimes involves re-aligning teeth. With Six Month Smiles in Danville, our cosmetic dentist creates better balance and harmony between individual teeth, so your entire smile looks stunning. These tooth-colored and discreet orthodontics provide the smile you’ve always wanted in less time than you thought possible. Call Dr. Pescatore at (925)362-9330 to discuss your new smile today! This system of cosmetic braces achieves results quickly by using the same predictable mechanisms as regular braces, including brackets and wires. However, all appliances in Six Month Smiles treatment are completely tooth-colored; your braces will not be a distracting part of your appearance, like silver appliances can be. Six Month Smiles shortens treatment time by only moving visible teeth in your smile line. While full, traditional braces are applied to realign bite and all teeth to promote better function and health, our cosmetic braces realign visible teeth to meet aesthetic goals, so your treatment time is a fraction of what it would be with traditional orthodontics. Clear, removable braces are a popular treatment among teens and adults who are concerned about the way their smiles will look while undergoing care. However, the range of alignment problems that removable aligners can fix is limited to mild cases of teeth overlap, gaps, and rotation. Patients using this system must also be diligent about wearing their aligners; removing them too frequently can prolong treatment time. 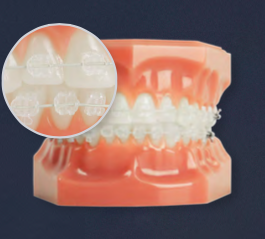 As Six Month Smiles still utilizes brackets and wires affixed to teeth, it can correct more complex instances of crowded and twisted teeth that tray-based orthodontics cannot. Six Month Smiles offers the best combination of dependable treatment with aesthetic appeal. If you’re due for a dental check-up, or if you have questions about straightening your teeth, contact Dr. Pescatore. During your visit, he can evaluate your smile to determine the severity of teeth misalignment and recommend Six Month Smiles to create your ideal aesthetic. This orthodontic treatment is an excellent choice for both adults with alignment relapse after braces or younger patients with crowded or overlapped front teeth. Your treatment is customized to your needs and Dr. Pescatore is happy to answer any questions you may have about what to expect. Your cosmetic braces could be removed by your next routine dental cleaning -- revealing a straight and beautiful smile. To further enhance aesthetic after orthodontics, Dr. Pescatore can provide one-hour whitening treatment. A. Six Month Smiles® clear braces are safe, comfortable, and provide quick results. Using proven techniques and materials, the braces have been specifically designed for adults with crooked, spaced, or misaligned teeth. A. The cost of treatment depends on many factors. Dr. Pescatore and his staff can provide you a treatment estimate as well as explain the procedure in detail for you. Q. Will dental insurance cover the cost? A. Your dental insurance may cover limited orthodontic treatment, such as Six Month Smiles®. The typical range of insurance coverage for orthodontic treatment is $500-$2,500; details of your insurance should be reviewed with your dentist’s office. A. There’s no catch! 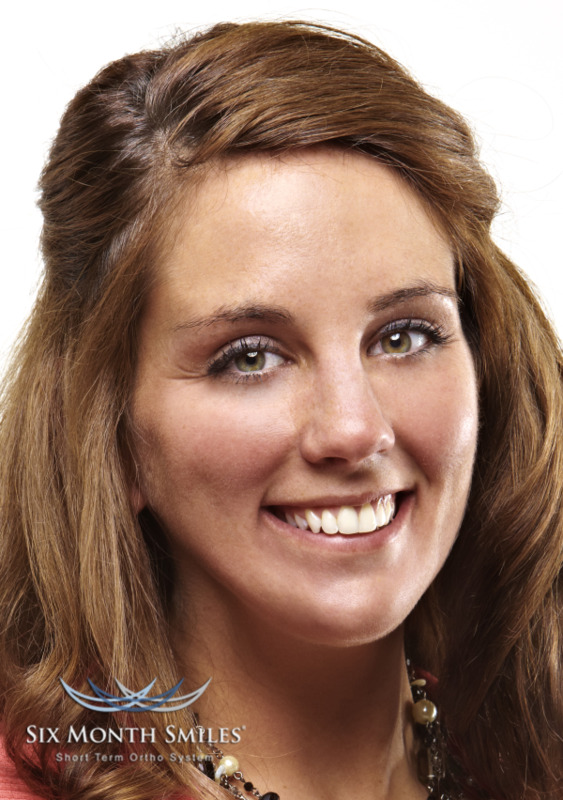 If you are an adult patient with crooked, spaced, or misaligned teeth, then this could be a fantastic option for you! Ask your dentist today if you are a candidate for Six Month Smiles®! A. 6 months is the average treatment time, Most patients finish right around 6 months, but treatment times may range from 4-9 months.